The decision of PT Pos Indonesia to cooperate with e-commerce actors gives good effect to financial performance. The largest shipping company in Southeast Asia grew by 15 percent thanks to this collaboration in which in the first quarter of this year the package delivery performance rose 130 percent compared to the same period in 2016. Pos Indonesia has expanded into a courier service for online market segments by collaborating with e-commerce players through online platforms such as Zalora, Lazada, Tokopedia, Bukalapak, Matahari Mall, Blibli, Blanja, ACommerce and Shopee. 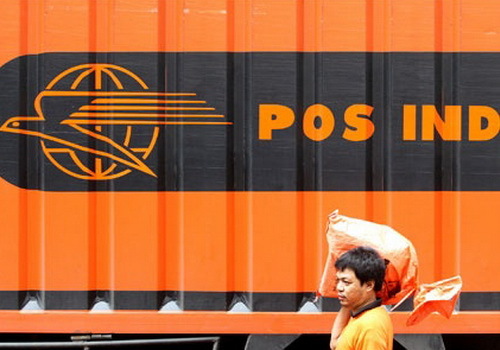 Communication Media Manager of Pos Indonesia, Tita Puspitasari, said the company also uses social media platforms such as Instagram, Facebook and Twitter to serve individual orders for other online based sellers using the "cash on delivery" feature, shuttle shipping, and notification service of shipment status. "Some other actors are in the process of partnering with us," Puspitasari said in a statement. Other service features are the complain handling system using Halo 161 Service access for 24 hours, security and shipping compensation guarantee. Currently, the company serves the delivery of fashion goods, household appliances, electronic goods, consumer goods and shipment with the class of dangerous goods and valuable goods. Puspitasari said Pos Indonesia also plans to provide Instant Courier services to E-Commerce to meet buyer needs. In addition, at the end of August 2017 and the online business will enjoy Flate Rate service. "They only buy boxes of packaging or covers and include postage at the Post Office where we immediately wrap the contents of the mail and then send without having to queue," said Puspitasari. Logistics has become the toughest challenge for e-commerce business in Southeast Asia where people in 11 countries are spread over thousands of islands. The low speed of logistics delivery time and the availability of infrastructure especially in Indonesia and the Philippines as the largest archipelagic region have underscored the core issues of this business. "Logistics is the biggest problem because we are the archipelago. We send orders to Papua for 2 days or even 7 days. Another problem is the harmonization, payment and integrated data," said Chairman of the Indonesian E-Commerce Association (idEA), Aulia Marinto, In a statement. Marinto said all players including transportation managers, transport service providers, and other stakeholders need to work together and integrate. IdEA has conveyed to the Ministry of Transportation in Indonesia and hopes all stakeholders remain optimistic in facing this problem. Indonesia as the largest country in Southeast Asia is estimated to have e-commerce potential of US$130 billion until 2020. President Joko Widodo has signed the Presidential Regulation No.74 of 2017 on electronic commerce system road map as an effort to accelerate and optimize e-commerce, startup and related elements. The 2017-2019 e-commerce roadmap provides direction and steps for setting up and conducting online commerce. The road map also discusses startup funding, consumer protection, human resources, communications infrastructure, logistics, cyber security and tax simplification.